Hi lovelies. I'm super excited for today. I was recently lucky enough to win a fantasy novella. I thought it would be really fun to review it, interview the author, AND let you guys to win a copy! Thanks to the authors' marvelous generosity). It's a very short story (we're talkin 59 pgs); and was really fun to read. P.S. 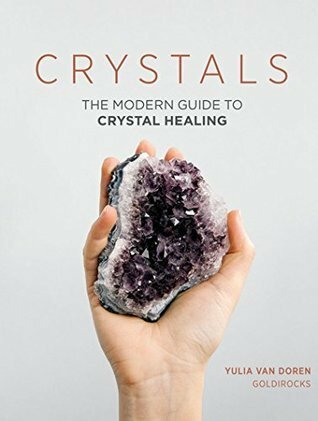 All you need to do to win a copy is enter the Rafflecopter! The prize is an ebook of I, Minion in ePub or mobi format. 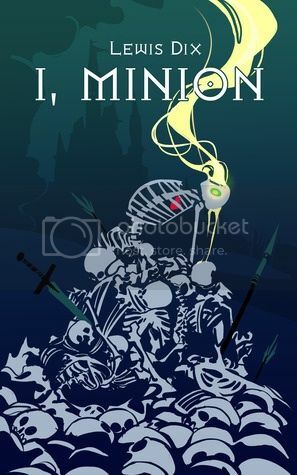 I, MINION is the tale of a skeletal warrior with no name and no future, raised from the dead to serve only one purpose - to fight and die on the front lines of battle. This is all he has known for centuries, but all that's about ot change. For he will come face-to-face with the Dark Lord's greatest enemy, a young witch by the name of Kora. As the leader of the rebellion, she is the very person he has been sent to kill. And yet, she will awaken feelings in him long dead, setting him on a path that threatens to change the course of the Empire forever. It's short. It doesn't waste time explaining things-- it dives right in. I love this. Why? Because it means the author thinks me (the reader) is smart enough to put pieces together! This is the first book I've read where the narrative / main character was a undead Skelton minion. Awesome subject matter! 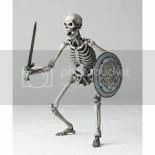 Reminds me of Ray Harryhausen film Jason and the Argonauts where the king / sorcerer used Hecate's magic to create skeletal minions to fight Jason and his argonauts!! If you haven't seen this classic movie yet you MUST. The special effects are awesome (for the time period, still considered revolutionary). But I remember watching as a kid and being like, I wonder what the skeletons are thinking? Ha! Curiosity Somewhat fulfilled!! He is different/unique. His thoughts (I strongly suspect) are very developed and deep. AND He does break free of it thanks to his strange (as yet unexplained) connection to Kora the witch. I won't say anymore, because it's a short story I don't wanna spoil! The MC is very similar to R of Warm Bodies. This was super cool. Great ending. I didn't feel it was a cliffhanger BUT I did feel like I want to read more! Why 3 1/2 stars? I've been more critical lately. The reason in this case was mostly technical stuff. I didnt care for the bold caps when the Dark Lord was speaking or angry. Some of the parts seemed contradictory...like one minute he wants to murder people then he doesn't? But he doesn't explain the sudden back and forth, even after his encounter with Kora he does do some "bad guy" stuffs. Clip from Jason & the Argonauts. Shows skeleton minions famous fight sequence! Hi Lewis. Thanks for joining me today on Dee's Reads. I really enjoyed reading your story. What prompted you to write in the perspective of an undead minion? Thanks for having me, and I'm glad you enjoyed it! Every time I hear somebody say that they liked my story it just blows my mind. I mean, I'm just some guy who decided he could write a book and went and put it on the internet. And now you're telling me that people actually enjoy reading it? Very humbling. Anyway, it was actually a book by Hugh Howey called I, ZOMBIE that inspired me to write I, MINION. I even went so far as to...ahem, "borrow" the title. Hugh's book was actually a very different story, dark and full of horror, but it got me thinking. I zipped through it in about two days and then asked myself, "Hey, it'd be cool if there was a story like this but instead of a modern-day zombie it was an undead minion in some Dark Lord's army." The rest is, as they say, (CLICHE ALERT!) history. Did you already know there would be a sequel when you began writing I, Minion? Actually, no! To be honest I didn't even plan on it being as long as it was and I certainly didn't plan on there being a sequel, or a third book for that matter. The voice and narration just sort of spilled out of me and after I got a couple of chapters in I decided that I needed an outline. It was during this process that light bulbs sparked to life inside my head and I knew that I need three different books to do the Minion's story justice. My favorite thing about summer is the seasonal summer ales, haha! But I also like being able to take my kids to the park and let them go crazy while I sit back and read a book. Any other info you'd like to say to your readers? I'd just like to say thanks! And that it's only going to get better from here! Both I, DARK LORD and I, CHAMPION will be releasing this summer. After that, I've got to decide which of the other five (and counting!) projects I want to start working on next.